The Fairhaven is a privately owned B&B in Beeston near Nottingham. We take great care to ensure that your stay with us, for business or pleasure, is as comfortable and pleasant as possible. All our bedrooms are comfortably furnished and most are en-suite with private shower or bath &toilet. All bedrooms are equipped with a colour television and tea &coffee making facilities. We offer Single, Double, Twin and Family rooms. We offer room rates with breakfast and option without breakfast. Check-in 3pm-10pm only. We are unable offer late check-in services. PLEASE NOTE WE DO NOT HAVE 24 HRS. RECEPTION. PROPERTY DOES NOT HAVE A LIFT ! FREE Wi-Fi available in some rooms and good reception in public area. For those travelling in Nottinghamshire on business, WiFi connection available. Off street car parking is available. 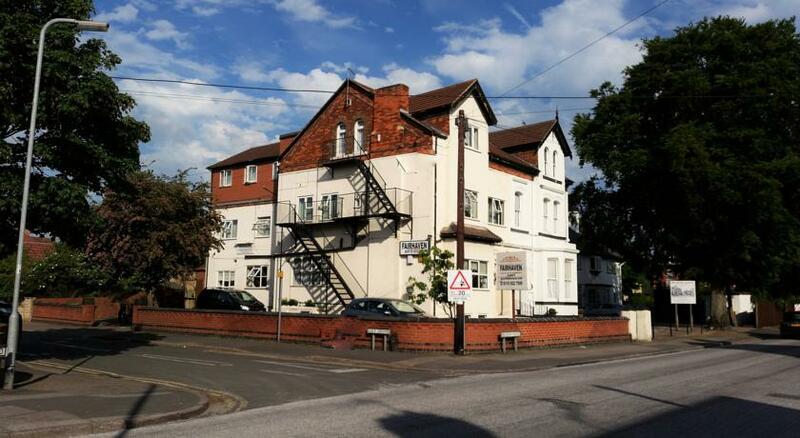 The Fairhaven Hotel is ideally located near Nottingham close to GPT/ Siemens, The Boots Company complex, Nottingham University Campus, the Queens Medical Centre, M.O.D Chilwell, Nottingham Tennis Centre, Highfields Hockey Club, Donington Park race circuit and Wollaton Park and Hall. A full English breakfast included in your room rate /optionally/ is served in our country style dining room on the ground floor. We cater for vegetarians. The M1 junction 25 is 3 1/2 miles distant and Nottingham City Centre, which offers excellent shopping facilities, is only 4 miles away. There is easy access to Robin Hood country and the Derbyshire Peak District National Park. The East Midlands Airport is 8 miles away. There are several good public houses in and around Beeston that serve excellent food in the local area. Nottingham City Centre offers a wide variety of restaurants and eating houses, a vibrant night life &a great shopping experience.